If things took a turn for the worse while gluing a project together or even chewing gum, you need Stain Devils #1! 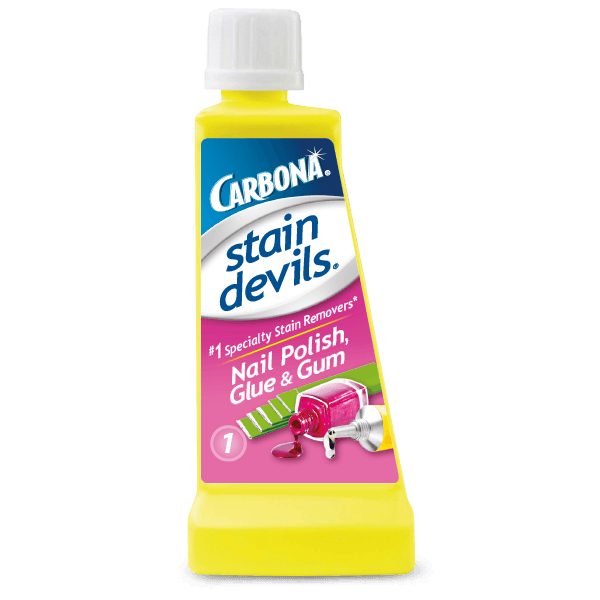 Stain Devils® #1 removes: Adhesives, Candle Wax, Chewing Gum, Correction Fluid, Glue (with solvents), and Nail Polish. Need help? Go to Conquer Your Stain. 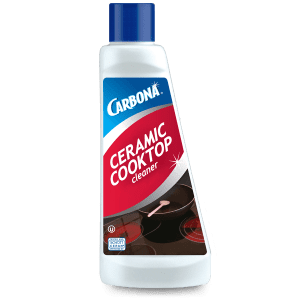 DO NOT USE ON LEATHER, SUEDE, SILK, ACETATE, CARPETING OR UPHOLSTERY. I really would rate this a 5+ but for some reason the website is not letting me change the rating. 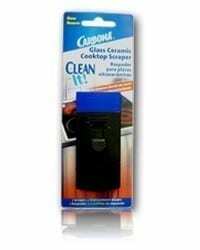 I have used this product on tree sap that I had on a pair of shorts. I had washed the shorts several times and even dried them, then I used Stain Devil #1 on it and got it out, good as new! 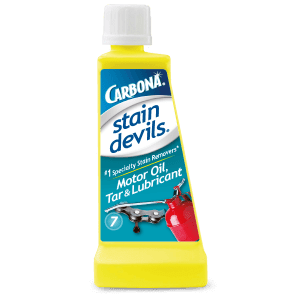 I just used the Carbona Stain Devils: Chewing Gum and Glue and am AMAZED. I just wanted to say thank you for saving my sweater, and congratulations for coming up with an amazing product. 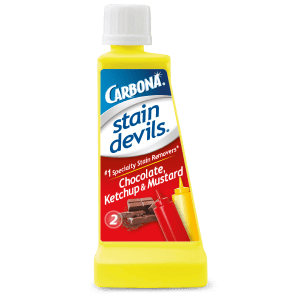 I have used other Stain Devils products and have already been blown away, but the effectiveness of the Chewing Gum product drove me to write you an e-mail about how impressed I am. Where do the chemists who design your products come from? I am an undergraduate senior at Virginia Tech, and looking into jobs and graduate schools right now, so I was just curious. I dripped maroon nail polish on brand new white capris yesterday. 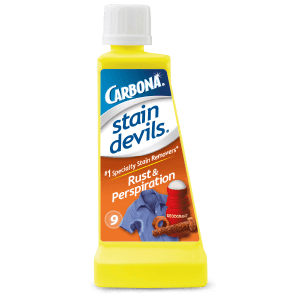 I picked up Carbona Stain Devils No. 1 Glue, Gum & Nail Polish. I soaked my capris twice in it, plus did the blotting and rubbing. It seemed all it did was make a big pink spot. 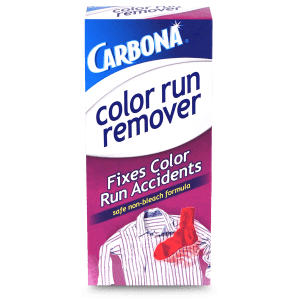 I put the capris in the washer and when I pulled them out – the stain was GONE! I thought I would be able to see a faint bit of stain, but NOTHING! I am very impressed with your product. 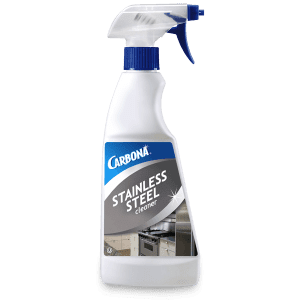 I am a laundry freak, and a perfectionist, AND, I run a cleaning business that includes laundry, having said that, I tried along the years around 90 % of stain removers in the market, UNTIL one glorious day I decided to try Carbona Stain Devils, I was amazed of the results, I can say that is so far, according to my experience of 23 years in the business, that this is the best product to remove stains. I have used almost all of them, only missing number 7, but I am buying it today to remove a motor oil stain from my husband’s shirt. Get it with confidence, its worth the price.